Oh, hey. I’m moving to Los Angeles. Yep, that’s a real thing right there. And you wonder why I’ve been slacking on the blog front this year. That’s a big reason why. In about three weeks, I will be setting up house in Los Angeles, home of the Rams, movie stars, beach hipsters and some of the best and most creative cuisine around. (Yeah, that’s a real thing, too. Eating in L.A. is an absolute delight. Hugely underrated as a restaurant city.) I’m trading New Jersey for California, and it’s pretty exciting. Why the move? Well, as some of you know, I do indeed have a day job, and the company is actually based in downtown Los Angeles. This year, they saw fit to promote me from senior writer to creative lead. That means I manage the creative aspects of our marketing efforts for a segment of our business. That segment is worth…well, a lot. I mean, it’s measured in billions of dollars in annual sales. And I’m leading a creative team tasked with figuring out what’s going to really work with that segment. Actually, I like the gig a lot. I’ve been in the role since March (another reason for the lack of blogging lately) and I’m rather pleased at how it’s going. We’ve had some wins. The team is coming together nicely. And when I’m finally out there with the rest of them — being just one of two people working out of our New York office presently — I think it’ll help even more. The move is something we’ve been considering for years now, and between the new role and our daughter heading to high school in the fall, the timing was right. I’m proud to say that the kid got accepted to an exceptional high school arts program that’s going to give her opportunities I could only dream of growing up in Vermont. Plus, winter will become something that we now simply visit, rather than endure. I have friends and colleagues who will go skiing in the morning up in the mountains, and then end up on the beach in Santa Monica for dinner. This seems rather delightful and civilized. What does this all mean for the writing career? In terms of my current work — nothing. 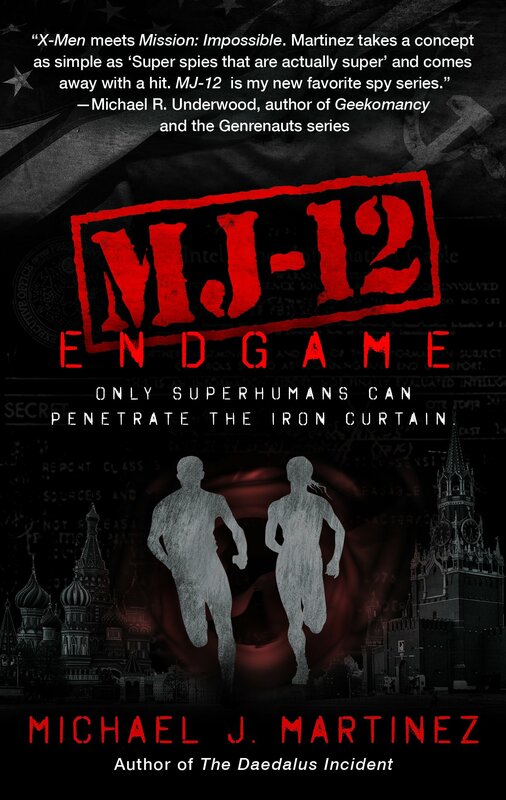 MJ-12: Endgame is still coming out in September, and I’m still heading to DragonCon in Atlanta over Labor Day weekend to celebrate. Believe me, spending several days geeking out, meeting fans and reconnecting with my fellow scribes is gonna be heavenly after this move is over and done with. As for the future? I have an anthology project out on submission right now with another author, someone for whom I have a deep and abiding respect and who’s just a lovely person all around. If that sells, then that’s the big next thing and I’ll be sure to tell you about it. I also have two different novel projects now in advanced stages of development and drafting, but I readily admit to not having worked much on either in recent weeks. At the moment, I feel it’s likely that, for the first time since my debut in 2013, next year will not see a novel from me. And that’s OK! I’ve had more success as a novelist than I expected thus far, and I will continue to tilt at that windmill for the foreseeable future; I’m half Spanish, after all. The various projects I have going are all very different from both the Daedalus and MAJESTIC-12 books, and that’s a very good thing. Taking some time to get the next thing right is perfectly acceptable. And even without a book out in 2019, I do plan to try to hit a few more conventions next year. The Nebulas, for example, are right in Los Angeles next year, which is terribly convenient. I’d be remiss if I didn’t go. In terms of the city itself, I know what I’m getting into. I’ve been at my company since late 2007, and I’ve visited L.A. at least thirty times over the past decade. I’ve explored the city and I know the neighborhoods pretty well at this point. And because I’ve worked there for as long as I have, I’m fortunate enough to have a network of friends already in place, which makes things a lot easier. I wouldn’t be moving if I didn’t have a generally high opinion of the place, heat and earthquakes notwithstanding. I’ll miss the Northeast. Not Jersey, in particular, though I will miss my Jersey friends. But I’m a Vermont boy at heart, and I have family and friends in upstate New York and Vermont whom I’ll miss, though there will undoubtedly be visits. This really isn’t good-bye to the Northeast, but more of a see-you-later thing. So there you go. By the end of July, I’ll be firmly entrenched in Los Angeles and probably writing poolside. (Our new apartment complex does indeed have a pool — three, in fact. I mean, why live in L.A. and not have ready access to a swimming pool? Seems barbaric not to.) I’ll do my best to blog more once I’m there, but over the next three weeks, things may get slightly crazed as we head west. If you’d like to keep track, I’d suggest Twitter or my author page on Facebook, as I’ll likely update those a bit more regularly. Hello from World Fantasy 2017 in San Antonio! I will be at the mass autograph session tonight at 8 p.m. in the Fiesta Paviliion here at the Wyndham Riverwalk. 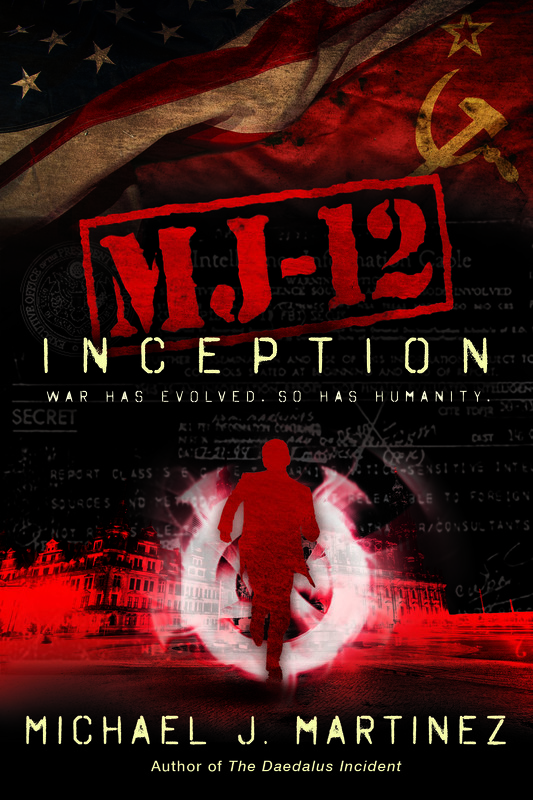 I know the good folks at Night Shade Books sent over a bunch of paperback copies of MJ-12: Inception to put in the swag bags, so I’ll happily sign them there. 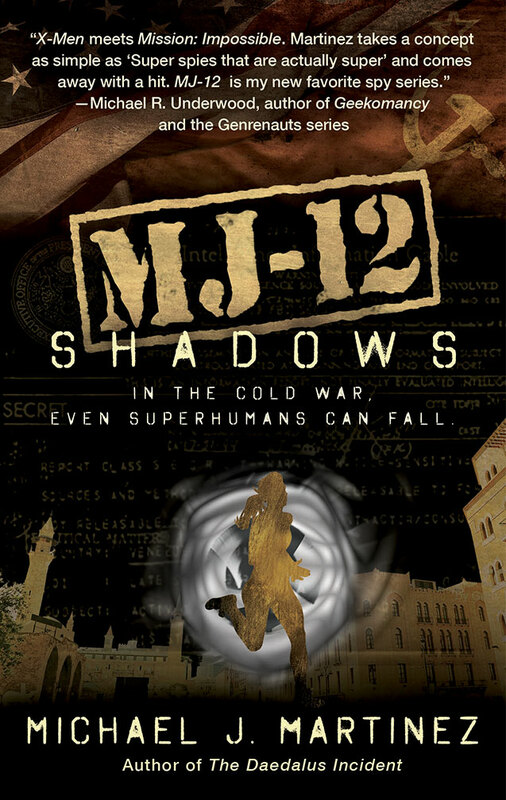 Tomorrow at 8 p.m. in Executive Salon 3 on the third floor, I’ll be doing a reading, most likely from MJ-12: Shadows. I also have a couple extra copies to give away for those attending. Also worth noting: Larry Smith Booksellers now has signed paperbacks of all my books. They have the entire Daedalus trilogy as well as MJ-12: Inception and MJ-12: Shadows. So if you’ve not gotten a copy in your swag bag and miss out on freebies, please go visit them and pick ’em up. Larry himself is no longer with us, having passed away in January, but his legacy lives on in one of the finest booksellers on the conventions circuit. Please support this excellent seller! Finally, I’m pleased as punch to report that the Night Shade Books Bundle over at Humble Bundle is doing really well — more than 3,000 bundles sold since Wednesday afternoon, roughly 48 hours. This is amazing and, dare I say it, humbling. The Daedalus Incident is one of the books available in the bundles, and the proceeds to go charity, so if you want a whole heap of great books, go check it out. And if you’re at World Fantasy and have picked up a Humble Bundle, come find me at one of the events above and show me the receipts, so to speak. I have something special for the first person to do so. First come, first served.